The English language contains millions of words, but the average speaker only uses a small fraction of the current terms and phrases. Besides spelling and understanding new words, a dictionary can help users expand their English and improve their grammar. For children, dictionaries are an invaluable learning tool. For many kids, a dictionary is their first introduction to resource material and a dictionary can help them learn new words and expand their vocabularies. Looking for a dictionary app? Check the list of best dictionary apps for Android and iOS devices that will help teachers and students. Merriam Webster dictionary app is one of the most reputed dictionaries all over the world. This app includes features such as voice search, audio pronunciation, example sentence of the word, word of the day and an integrated thesaurus including synonyms and antonyms. Dictionary.com app is one of the best app out there, it does not require internet connection as it works offline, it has definition, antonyms and synonyms of over two million words including audio pronunciation, search history, favourite words, the origin of the word and popup notification for the word of the day and special words. The Cambridge School Dictionary app is the perfect study companion for students studying other subjects through English.It includes vocabulary from all the main CLIL and International GCSE topics - from biology to economics and from IT to literature - to give you the confidence and support you need to learn in English, whatever the subject. Collins English dictionary app is intended for grades 12+ and general business users. It is stuffed full of over 500,000 words, and also covers world, regional, and dialect English. Collins English Dictionary Unabridged includes the latest vocabulary based on their database of over 2.5 billion words that is constantly updated. 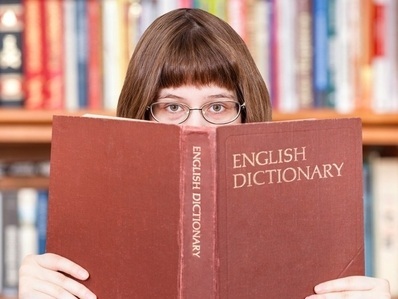 Oxford Dictionary of English app is the flagship British English dictionary from Oxford. It offers the most comprehensive coverage of English from around the world in any one volume dictionary. It is completely revised and updated to include the very latest vocabulary, with over 350,000 words, phrases, and meanings.